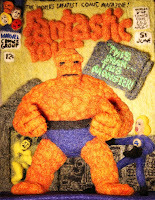 I have no idea where this came from, but Steve Niles posted a picture of Fantastic Four #51... knitted! Paper Wings does an analysis/comparison of several print-on-demand options for publishing your own comics. Why they neglected to include Lulu, I don't know, but they specifically examine Ka-blam, Createspace, Lightning Source and 360 Digital Books. They also don't speak to the actual printing quality of each company, which certainly could be a concern for some folks. 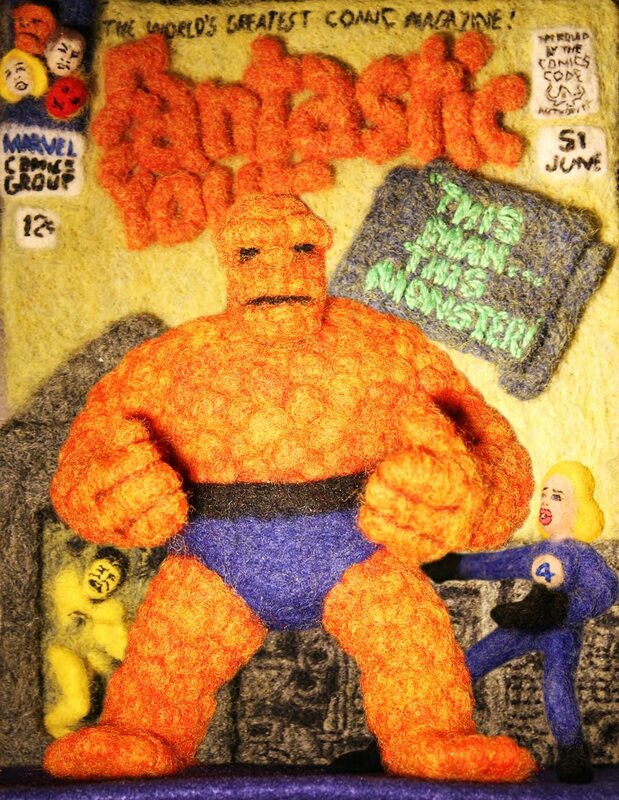 Daily Finance commits two heinous acts against comicdom in one article. First, they try to tout all the wondrous benefits of using comics as an investment (a strategy that almost killed the whole industry about a decade and a half ago) and they gratuitously throw "BAM! ZAP! POW!" in the first paragraph. I'd say, "At least they didn't use it in the title," but they opted for the just plain bad "Super, Man!" pun. Somebody shoot me. Dr. Naif A. Al-Mutawa, creator of The 99, has an op-ed piece noting that, if a murdering pyscho-path like Dexter can be presented as a sympathetic character, then the same should be possible for Muslims; and that media should step up and help push for that kind of broader tolerance as they've done with Seasme Street, The Cosby Show and 24.